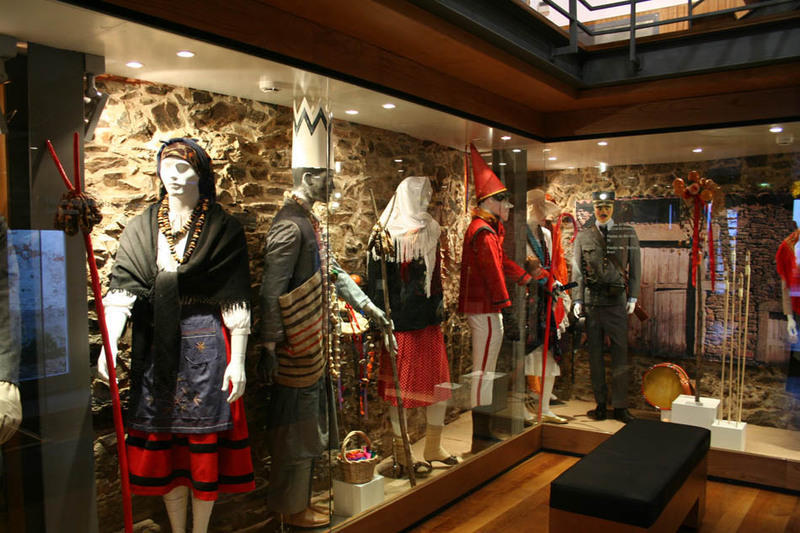 Discover the colourful collection of masks and costumes in the Museu Ibérico da Máscara e do Traje in Bragança, Portugal. This museum hosts a fascinating collection of colourful masks and costumes used on old festivals of pagan origin such as Carnival or Solstices. The museum has three floors. The first is focused on winter celebration in the district of Bragança and Trás-os-Montes; the second, to the festivities in the Zamora district; and the third, to Carnival, with some sections devoted to local artisans. Rua D. Fernando O Bravo, nº 24/26, Braganza. Free admission for children under 10 years of age. Free admission on Sunday morning. October 1 through May 31, Tuesday through Sunday from 9:00 to 12:30 and from 14:00 to 17:30. June 1 through September 30, Tuesday through Sunday from 9:00 to 13:00 and from 15:00 to 18:00.